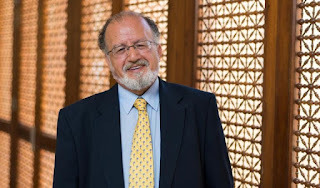 October 14, 2018, Cairo – The American University in Cairo (AUC) recently launched The Institute of Global Health and Human Ecology, which will house several graduate programs, including the new Master of Public Health (MPH) and the curriculum for the PhD in applied sciences, global public health specialization. AUC and the High Institute of Public Health in Alexandria will be the only institutions in Egypt to offer this type of program open to both physicians and non-physicians. However, concentrations in precision health are unique to the institute and region. The inaugural class begins in January 2019. AUC's newly launched Institute of Global Health and Human Ecology will not only give graduate students the opportunity to pursue health studies but will also offer them an interdisciplinary environment — one that will emphasize projects and real-world challenges for investigating sustainable solutions. 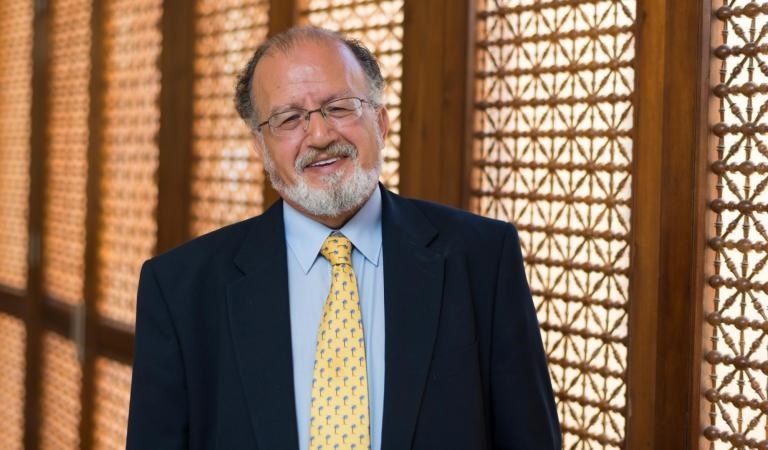 "The reason why we call it an institute is because there is an open invitation for everyone across the University to join," explained Hassan El-Fawal, dean of the School of Sciences and Engineering and founding director of the institute. The Institute of Global Health and Human Ecology is a multidisciplinary initiative starting with the School of Sciences and Engineering, which is partnering with the School of Global Affairs and Public Policy in one of its global public health concentrations. However, the institute is constructed to include partners across AUC. One of the major draws of the new institute will be its incorporated academic programs, consolidating fields from all over the liberal arts spectrum, as well as applied sciences and engineering. Synthesizing subjects as seemingly different as policy and computer science, the institute recognizes the need to address public health issues from a variety of perspectives. To achieve this, the institute aims to capitalize on the talent of faculty members and students from different disciplines across AUC. "Data collection is important for health," affirmed El-Fawal. "Understanding genetics is also important, but requires significant data analysis. Communications, analytics, ethics, computer science, demographics — all of these things go into the health mix. You can't isolate one from the others." El-Fawal explained that health is broader than medicine and that in the practical world, health draws from all disciplines with scientific implementation. Envisioning the institute to offer courses that foster cross-disciplinary collaboration and encourage students to take a nuanced approach to global health issues, El-Fawal noted that to achieve this goal, the institute will take a holistic approach to public health education. It will move away from the stereotype of the "hard sciences" as strictly formulaic and restricted to the lab. Course work under the institute will encourage students to pursue innovation for sustainable solutions in and out of the lab. One important component of the course work will be to engage with local communities. ​ "So much of global health is prevention," said El-Fawal, explaining why doing fieldwork with local communities is important for students interested in pursuing a career in health-related fields. "For prevention to be effective, you have to have communication; you have to be able to engage the subjects of your preventative measures for best practices; and you have to be able to take hard sciences and translate them to the public. In other words, educating in an effective manner those who are most likely to be impacted by a given health challenge." El-Fawal hopes that once students learn ways to engage with communities, they will have a greater impact in addressing global public health problems within their local communities. He believes that public health challenges are not isolated issues — that by seeing how they can enact change within communities nearby, students will understand that they don't have to travel far to have an impact globally. "When you address these issues, it doesn't really matter where you are addressing them. You will arrive at solutions that are equally applicable elsewhere or adaptable to other environments," he said.